Aside from Website development and design, you need to worry about the one, main reason that people are on your site. The content. The code that we develop creates a space where you get to sell your company. But think of it like your office. We're creating a space ' the space has a certain look and feel. Whether that is a clean, well-lit space with lots of open air and natural light, or a little corner store with dark wood floors and quiet spaces, it is just a space. Until you fill it with your things, it is not your space. Professional services, such as Web writing, editing, and photography and photoshop take your site from existing to actually keeping potential clients on your site. The longer they are on your site, the better chance that you have of gaining their business by showing that you are not only in the business, but the authority on the business. There you go, down here. Web writing isn't necessarily about perfect grammar, or even about writing what you know. It's about writing what the people you are wanting to talk to care about. Your site can be the most beautiful, clean, crisp design ever. If it doesn't have words that people care about'they'll leave you. Web writing services can make the difference between a site that exists, and a site that converts. Do you want a site that tells clients that your restaurant serves food? Or do you want a site that tells your customers why they should choose your awesome restaurant over every other restaurant that serves food? Twenty years ago, people were ready to start using the internet. Throwing up a site must mean that overnight, thousands of opportune customers were going to rush the internet, making everyone with a Website designed a millionaire. It turns out that a Web site, like any other store front, actually requires work. You're the expert. The trick to good web writing is to blend your expertise with the understanding of what the customer wants to know. Chances are, you need to give them a reason to believe that you have the best offers; you need to give them a reason to believe that you are an expert. Simply saying, 'Hey, we're experts, and we are the best,' does not mean they are going to believe it. Quality website writing will ensure that what you have to say shows off who you are. 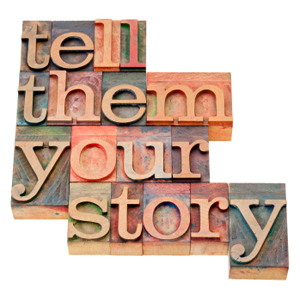 We can help you find a way to tell them your story, so that they actually care. Stop selling services and products, and start telling people why they should buy yours. A picture says a thousand words, right? Yes. Always. Even if your pictures are awful, what that says is, 'They didn't try with their Web site'what makes me think they'll try for me'? Before we had a Web team, our site was sporting this image. No, we're not kidding. What the flying computers represent, or how they are relevant to a customer'well, we're not sure. But that was the image waiting to greet our customers. We see that mistake all of the time. A picture may be very pretty, but unless it affects your client, it is a waste of space and money. We can handle all of your photography and image creation needs.